Book Online Save up to 75%! Come and stay in one of our four secluded and comfortable Lumbungs (traditional native Balinese rice barns with a Filipino touch) where we make the most of outdoor living. Ideal for a family vacations, but also for honeymooners or for people that just want to relax in a quiet, private, lush tropical paradise. Your hosts have fifteen years experience in the luxury hospitality business to offer. Treat yourself to an Alumbung villa, or cottage where luxury is affordable and have a memorable holiday away from the hustle of the cities. 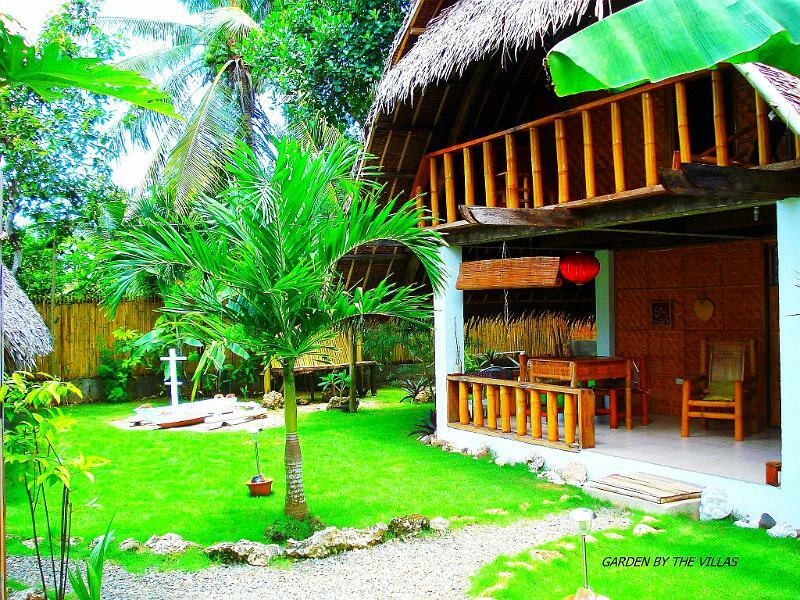 We are located in Barangay Danao, Alona beach, in a lush tropical garden setting only 5 minutes walk from the sea and 2 minutes ride from the famous Alona beach in the island of Panglao, Island Bohol. Nice photos of Alumbung Resort, looks like a great place to stay. Great blog about Bohol by the way!